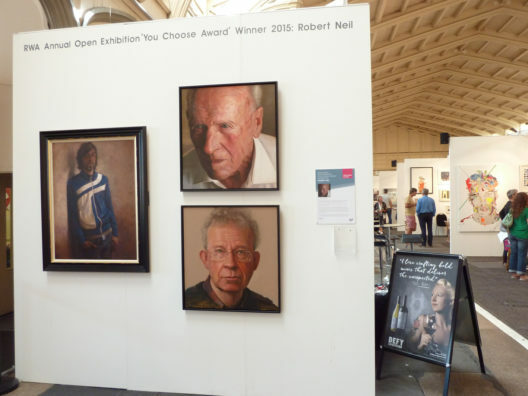 The Affordable Art Fair kindly exhibited my work in Bristol after I won the Royal West of England’s ‘You Choose’ Award in 2015. Many thanks for their support, it’s great to get the work in front of a new audience. I was proud to display my portrait of friend and past tutor Paul Bartlett at this year’s RBSA Members and Associates Exhibition. 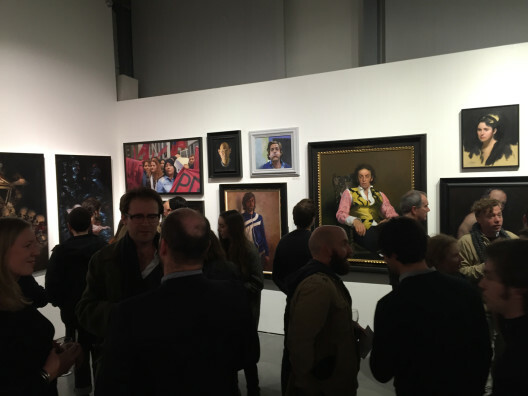 Thanks to the London Atelier of Representational Art (LARA) for inviting me to exhibit my portrait ‘Jeweller’ at the Mall Galleries in December 2015. It was great show and fantastic to catch up with some old friends at the opening party. I am really pleased to be selected for this year’s RWA Open exhibition, along with a number of other RBSA Members including David Harbin, David Hawthorne, John Shakespeare and Kevin Line. 500 works exhibited from 2,500 entries – well done to all. 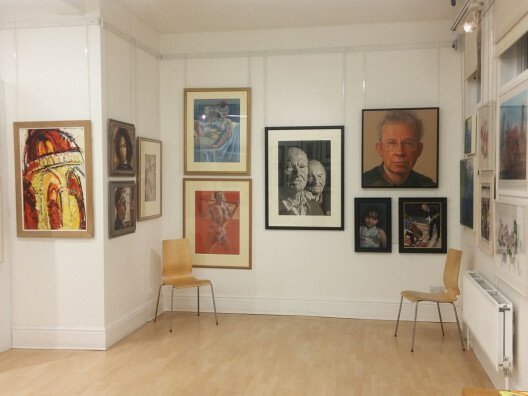 Excellent blog titled ‘Passing the Baton’ written by Phil Mellanyby who interviewed artists exhibiting in the Mueseum’s West Midland Open Competition. Fantastic opening night for RBSA’s Birmingham and Beyond exhibition. As part of this year’s bicentenary celebrations RBSA Members and Associates are joined by Honorary Members and Presidents of the UK’s Royal Societies. Thanks to all for exhibiting, it’s a great way to end a very special year. The exhibition ends December 24th 2014. 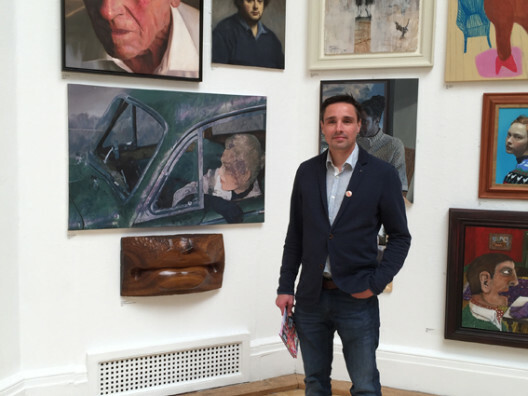 Click here to buy print copies of this year’s artists short-listed for the BP Portrait Award. My portrait ‘Jeweller’ is now on tour with the Award and currently on display at Sunderland Museum and Winter Gardens until the 16th November, when it moves onto the Scottish Portrait Gallery. I’m chuffed to report that my portrait ‘John’ has been selected for the West Midland Open. Over 300 artists entered, of whom 66 will have one or more works on display at Birmingham Museum and Art Gallery’s Gas Hall, from 24th October 2014. . This is an image from the chaired discussion held at Cass Art where 4 BP Portrait Finalists discussed our work and techniques along with Michael Harding who demonstrated his new oil colours. From Left to right Liesel Thomas (Chair), Yanko Tihov, Michael Harding, Tim Wright, John Williams and me. A very enjoyable evening. Images from the Private View of the RP show May 2014 .